Killer Characters: New Cozy Mystery Releases for January 2015! New Cozy Mystery Releases for January 2015! 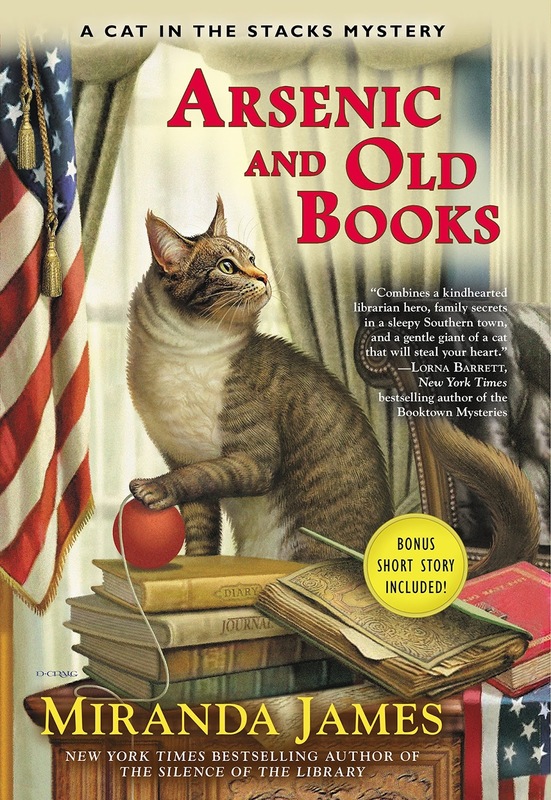 What could be better than starting the year with some new cozy mysteries? Happy New Year! Enjoy these new releases from our Killer Character authors! Beck’s biggest rival is Jasper Singletary. His Southern roots are as deep as Beck’s, and their families have been bitter enemies since the Civil War. Jasper claims the Long clan has a history of underhanded behavior at the expense of the Singletarys. He’d like to get a look at the diaries in an attempt to expose the Long family’s past sins. Meanwhile, a history professor at the college is also determined to get her hands on the books in a last-ditch bid for tenure. But their interest suddenly turns deadly. Sweet Pepper, Tennessee, has the world’s hottest and sweetest peppers—as well as a ghost that cooks and a fire chief who fights crime. 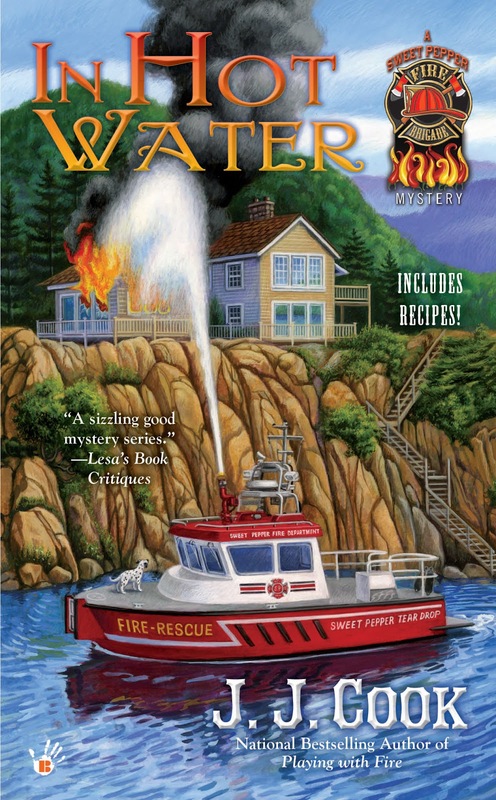 Stella Griffin should be bubbling over with joy now that she’s the full-time fire chief of Sweet Pepper, except trouble is brewing on her doorstep. An angry resident has purchased her cabin, and—with a bulldozer in tow—is ready to tear it down. But as Stella worries over the fate of her home and Eric, her ghostly roommate, there’s soon an even greater cause for alarm. A suspicious house fire in the pricey Sunset Beach community at Sweet Pepper Lake claims the life of ex-state representative Barney Falk. The nature of the death has Stella feeling out of her depth, so she teams up with the state’s arson investigator. Moving full steam ahead with the case, they must smoke out a killer before the firebug strikes again. From the national bestselling authors of the Biscuit Bowl Mysteries comes a tasty prequel novella featuring Zoe Chase, a Southern food truck chef who serves justice on the side. After quitting her job, the first thing Zoe Chase has to do is to drive out to the swamp to see her Uncle Saul. He still has the old Airstream trailer he once used for his own restaurant many years before, and Zoe is sure she can convince him to let her make a food truck out of it. After making the perilous journey from Mobile, Alabama into the backcountry, Zoe finds her uncle embroiled in a cook-off with his neighbor—with the life of Saul’s albino alligator, Alabaster, in the balance. Once again, the gator has eaten chickens that didn’t belong to her. So Saul and his neighbor will each prepare a meal for a church social, and if Saul wins, the gator lives. Now it’s up to Zoe to prove herself in the kitchen and come up with something no one has seen before—the biscuit bowl! INCLUDES RECIPES AND A TEASER FOR THE NEXT BICUIT BOWL FOOD TRUCK MYSTERY - FRY ANOTHER DAY - AVAILABLE IN FEBRUARY! 2015 just started and three great books are waiting to be read...woo hoo! Cant wait to read In Hot Water, and the others look great too. 2015 will be a fine cozy year. I have my copy of Hot Water and I can't wait to read it. Gator Bowl and Miranda's new book are on my kill to find list. 2015 is going to be a ROCKING year. My advance titles list is already reaching into the start of 2016 which means I see tons of great reading in everyone's future. Just found and have only read a few. Can't wait to read more. Thank you for some great entertainment. Happy New Year to all the authors and characters! I hope to get to a book store this weekend, when we go to visit our daughter and son in law. My list is lengthy. That's the problem with living in a town of only 15,000 people. We do not have a book store, unless you count the meager offerings found in Walmart and K-mart.